Many of you know that for the last six years I have served as the administrator of the ProGen Study Program. I have encouraged genealogists to study Professional Genealogy: A Manual for Researchers, Writers, Editors, Lecturers and Librarians, edited by Elizabeth Shown Mills, by organizing online groups to work through the book, completing practical exercises and discussing each topic. This week I will transition my role from administrator of the ProGen Study Group to a position on the board of directors. This change will allow me to pursue some of my other goals in genealogy. Rebecca Whitman Koford, CG has been named as the new administrator of the ProGen Study Program, and will begin her service on January 1, 2015. Rebecca has completed the ProGen program, served as a ProGen coordinator, and is well prepared to take over leadership of the ProGen Study Program. I am confident that the vision of ProGen will continue under her direction. Rebecca Whitman Koford, CG, is a board certified genealogist with special emphasis in Maryland and War of 1812 research. She was coordinator for the 4th and 14th ProGen groups and coordinator for the 16th Gen Proof online study group (peer-led group study of Dr. Thomas Jones’ book Mastering Genealogical Proof). She has spoken for the Maryland State Archives and for conferences and groups in Maryland, New Jersey, Pennsylvania, and Delaware. She has taught beginning and advanced genealogy courses for Howard Community College. Rebecca is a member of DAR, NGS, MGS, MDHS, NEHGS, and NYG&B. She was formerly assistant director of the Columbia Maryland Family History Center and was the treasurer for the National Capital Area Chapter of the Association of Professional Genealogists. She completed courses with NGS, NIGR, and SLIG (Advanced Methodology), and has recently authored articles for the Maryland Genealogical Society Journal. She now serves as a board member of the Maryland Genealogical Society and volunteers at the Family History Center in Frederick, Maryland. Rebecca has been taking clients and lecturing since 2004. Her current passion is for the Preserve the Pensions: War of 1812 project sponsored by FGS. She lives in Mt. Airy, Maryland, with three active teenagers and a very patient husband. CG (SM) and Certified Genealogist (SM) are service marks of the Board for Certification of Genealogists® and are used under license by Board-certified associates who meet program standards and periodic competency evaluations. The ProGen Study Groups are organized to encourage professional and aspiring genealogists to put into practice the principles found in Professional Genealogy: A Manual for Researchers, Writers, Editors, Lecturers and Librarians, edited by Elizabeth Shown Mills. This program employs an innovative method of collaborative learning focused on developing genealogical research skills and business practices. Each month group members study one or two chapters of Professional Genealogy and complete a practical assignment relating to the material. They meet online to discuss the topic in small group discussions. Members review each other’s assignments and offer constructive feedback. Participation in the program requires a time commitment, but provides a unique opportunity for constructive feedback from colleagues. Each ProGen study group has a board-certified genealogist mentoring the group. These volunteer mentors participate in the monthly discussions to answer questions and offer guidance. The following is from ICAPGen. Registration is now open for the ICAPGen Study Groups. The next group will begin in January 2015. What is an ICAPGen Study Group? This is a 3 to 6 month study group that meets twice a month via the internet for an hour. Each group contains people with similar chosen regions. These groups cap at 8 to 10 people. Groups are organized to begin at the start of each quarter throughout the year. What is the purpose of the ICAPGen Study Groups? The purpose of these groups is to provide support for ICAPGen Project submission and preparation for the ICAPGen exam. What kind of commitment is needed to participate in one of the ICAPGen Study Groups? Today I want to recommend two of my favorite blogs, and recent posts that pertain to genealogy education. You may already be familiar with The Legal Genealogist blog written by Judy Russell, JD, CG, CGL, but if you missed her post on Online Learning you may want to go back and read it. She details some of the many options for online webinars and live streaming of genealogy conferences. 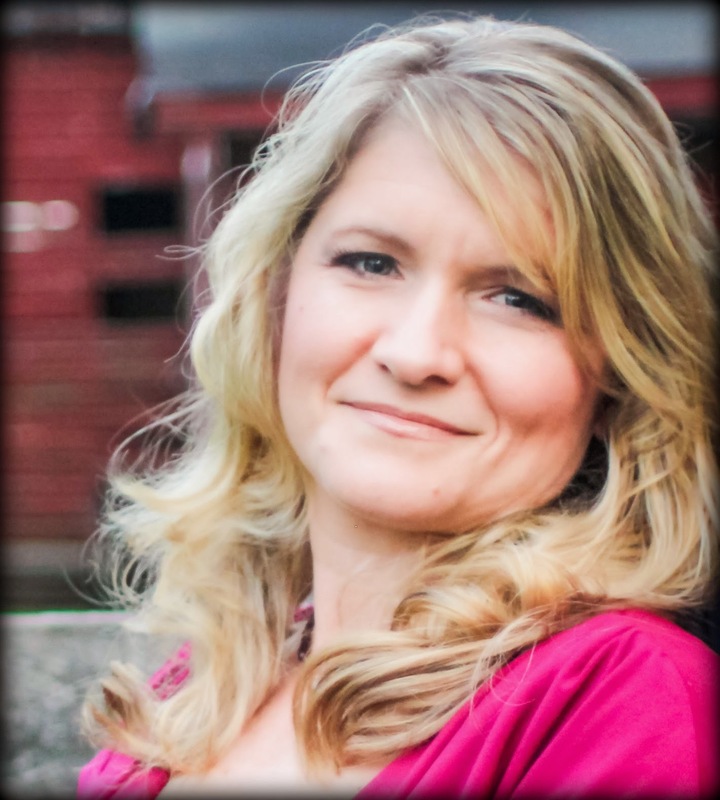 The other blog I would like to highlight today is Deb's Delvings in Genealogy written by Debbie Parker Wayne, CG, CGL. She recently wrote a post on Prep for Genetic Genealogy Training at Institutes but her suggested readings are good for anyone interested in studying DNA genetic genealogy. She suggests books, blogs and courses on DNA and its use in genealogy. Registration is now open for two new Gen Proof Study Groups beginning in January 2015. The Gen Proof Study Groups are organized to study the book Mastering Genealogical Proof by Thomas W. Jones. This is an exceptional textbook detailing the application of the Genealogical Proof Standard (GPS). The exercises will help you develop the skills you need to be comfortable applying the GPS to your genealogy work. This study program will consist of small groups of 10-20 members and a mentor who will guide the discussions and answer questions. Registration is now open for 2 groups beginning in January 2015. Frequency: One chapter every other week. Hangout Thurs 9pm Eastern. Possibility for second Hangout time also. We use a Google + private community as a platform for this study group so there will be no expense involved to participate (other than the cost of the book). You need a free Google + account. Each Gen Proof Study Group has their own private Google + community where they can ask and answer questions and discuss the book content and assignments. Asynchronous discussion board -- The group will not meet at a designated time but have ongoing discussions on a private Google + Community discussion board throughout the week. The mentor will log on each day to answer questions and highlight certain concepts, and participants should check in daily also. Frequency – These groups will meet every other week for sixteen weeks. Please be sure you have time to read the chapter and complete all of the exercises (these may take you several hours) BEFORE each of your group discussions. You should plan on studying and participating for about ten hours per week. Commitments -- Please take into account any travel plans or large time commitments before registering for a study group. You should plan to fully participate in all of the group discussions and so should wait for a future group if you have a vacation coming up or large projects you are working on. Completion Certificates – In order to encourage full participation throughout the course, we are now offering completion certificates to those who fully participate and complete the mentoring program. In order to qualify you must participate in each of the discussions and complete the exercises. In order for the group to be successful we need full participation from each group member. Placement in discussion groups is on a first come first serve basis. ** The Google + account is necessary for the asynchronous discussion group. Once you have been assigned to a group you will receive a confirmation email. After your group fills, you will be contacted and given access to the private Google + community for your group discussions. 1. Begin reading Mastering Genealogical Proof. In particular read the preface, chapters 1 and 2. 2. Read the two articles in Appendixes A and B. These articles will require multiple readings in order to absorb the information and do the exercises related to these articles. While the exercises don’t begin until chapter 2, you will need the extra time to digest these articles. The discussions begin on the date designated. The first week / discussion will begin right off discussing the preface and chapter one. The third week / discussion will cover chapter 2 including the reading and exercises, and will continue with one chapter every other week, according the schedule set by the mentor. Each group will discuss key points in the reading and there will be opportunities to ask questions on the reading material, exercises, and answers to the exercises. Each mentor will highlight points they think are important and guide discussions on the Genealogical Proof Standard and other content in each chapter. If you have any questions please feel free to ask your mentor, or email Michelle Goodrum at genproofstudy@gmail.com. 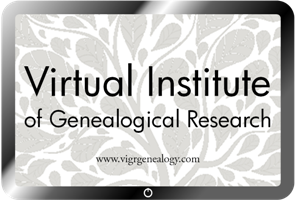 The Virtual Institute of Genealogical Research announced that they are providing a new option for some of their courses. Students enjoyed the first course presented by Michael Hait in November, but some requested additional time for questions and feedback from the instructor. To accommodate this request, the Virtual Institute is offering a new "plus" option on some of the courses in 2015. The standard format for the Virtual Institute of Genealogical Research course is four 90-minute lecture sessions with Q&A, extensive syllabus material, and at least one practical exercise. a Certificate of Completion for the course. The Plus option for any course will cost $99.99, as compared to the $69.99 cost of standard courses. J. Mark Lowe’s “Preparing the Field: Understanding the Agricultural Records of Our Ancestors” will be the first course to offer this new option. For more information visit www.vigrgenealogy.com or email vigrgenealogy@gmail.com. ARLINGTON, VA, 16 DECEMBER 2014: The National Genealogical Society announced today the release of its newest Continuing Genealogical Studies (CGS) course: Researching Your Revolutionary War Ancestors. Developed by military records expert Craig Roberts Scott, CG, FUGA, the new course expands on NGS’s goal of providing quality educational opportunities to the genealogical community. In addition to his role as CEO and President of Heritage Books, Inc., Craig Scott has spent decades honing his military research expertise and teaching these skills within the genealogical community. He has coordinated military courses at the Salt Lake Institute of Genealogy, the Genealogical Research Institute of Pittsburgh, and Samford University Institute of Genealogy and Historical Research in Birmingham, Alabama. His books include Understanding Revolutionary War and Invalid Pension Ledgers 1818-1872 and Pension Payment Vouchers They Represent, and The "Lost" Pensions: Settled Accounts of the Act of 6 April 1838. In this eight-module cloud-based course, Scott introduces numerous U.S. based records related to those who fought for independence, including compiled service records, prisoner of war records, and pension files. He will also teach strategies to identify and locate information about ancestors who lived at the time of the Revolution. Researching Your Revolutionary War Ancestors is available to NGS members for $45.00 and to non-members for $70.00. For additional information or to purchase the course, visit the NGS website at http://www.ngsgenealogy.org/cs/researching_your_revolutionary_war_ancestors. The NGS Continuing Genealogical Studies courses are designed for both beginners and established genealogists who wish to focus on a specific topic and put their ensuing knowledge to work quickly. The courses allow individuals to complete genealogical coursework at their own pace and from the convenience of their own homes. Advanced AGS courses in a new series called Beyond the Basics are currently in development. This cloud-based series is scheduled for release in 2015 and will complete American Genealogical Studies, which replaces the NGS Home Study Course, the standard in genealogical education for decades. I was excited to get the press releases from the Southern California Genealogical Society regarding their 2015 webinar schedule. I have enjoyed their webinars in the past and appreciate that they are free to the public. There are some great speakers and topics in this lineup. The Southern California Genealogical Society proudly announces plans for the 2015 Jamboree Extension Webinar Series. Since 2011, SCGS has offered twice-monthly webinars for genealogists and family historians around the globe. The goal of the Webinar Series is to fulfill an important element of the Society’s Mission Statement: The Southern California Genealogical Society exists to foster interest in family history and genealogy, preserve genealogical materials, and provide instruction in accepted and effective research techniques. The live webcasts are open to the public free of charge. Please tell your cousins, fellow genealogical society members and others about our program. We'd love to have them join us. SCGS webinars are held the first Saturday and third Wednesday of each month. They are held at hours that most people are not working: Saturday 10am Pacific time and Wednesday 6pm Pacific time. You’ll see a list with all of the upcoming webinars and links to register. Click on the links to register for the live webcasts you want to attend. Fill out the registration information and you’re all set. You’ll get a confirmation email and will also get reminders before the webinar, as well as a link to a handout for every presentation. On the day of the program, click the link that you received in those emails and you’ll be taken to GoToWebinar for your session. You can watch the webinars on your laptop or desktop, on your tablet or even your smartphone. If you don't have an internet connection, you can even dial in by phone and listen to the presentation. What if I can’t watch the live webcast? As a benefit of membership, SCGS members may view any of the 125 or so archived sessions any time, day or night, on the SCGS website. Webinars are posted online about two weeks after the webcast. A list of the archived sessions can be found on the SCGS website. To learn more about the valuable membership benefits available for SCGS members, visit our membership webpage. Download the 2015 Webinar flyer and post it on your office's bulletin board. Join us for the first session on Saturday, January 3! Is the Virtual PMC on Your Holiday Wish List? Is Virtual PMC on your holiday wish list? With individual sessions beginning at just $20, a special $45 DNA bundle, or access to the full virtual conference for $145, Virtual PMC is a gift that fits every budget. Let your friends and family know which classes you want to attend, and they can purchase a registration for you at https://virtualpmc2015.eventbrite.com. Virtual PMC 2015 offers TWO full days -- 9 total sessions -- of PMC classes streamed live to your computer or mobile device. All registrations include 3-months' access to recordings of the same sessions! Plus, Virtual PMC attendees are automatically entered to win a 1-year Ancestry World Deluxe subscription. The door prize winner will be selected and notified a day or two after Virtual PMC. 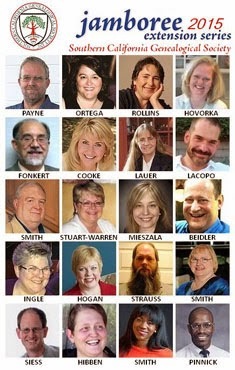 Visit www.apgen.org/conferences/classes.html for class descriptions and speaker bios. - Valuable door prizes, networking opportunities, and much more! Register for PMC 2015 at www.apgen.org/conferences. Online registration ends 30 December 2014. I received the following announcement from the Institute of Genealogy and Historical Research (IGHR). I am excited to be involved with IGHR again this year, and thought some of you may like to mark your calendars for January 20th to register for the course of your choice. See in next June! We are happy to announce that registration for the Institute of Genealogy and Historical Research (IGHR) for 2015 will open Tuesday, January 20, 2015, at 11:00 a.m. Eastern time (10:00 a.m. Central, 9:00 a.m. Mountain, 8:00 a.m. Pacific). A link will be provided on the IGHR Registration page (http://samford.libguides.com/ighr-registration) to the online registration at that time. If this is your first time registering or if you just want a refresher on what to expect, please consult the downloadable online registration guide (http://ighr.samford.edu/IGHR101_online-reg-2014.pdf). To prevent an overload of the online registration system, the opening of course registration will be staggered with different courses being opened each half-hour. Every year, some courses fill up in a matter of minutes, so be sure to be wherever you have your fastest internet connection at registration time. The Institute itself will take place on June 7-12, 2015. For more information, visit the IGHR website at http://samford.libguides.com/ighr/. There are some excellent webinars offered by the Association of Professional Genealogists (APG) this month, and in 2015. The live webinars are FREE and open to the public. You may want to register soon to reserve your spot. Building Your Author Blueprint: Writing Opportunities for the Genealogy Professional Presented by Lisa A. Alzo, M.F.A. Do you enjoy writing about genealogy? There are plenty of writing opportunities available for genealogy professionals. This webinar will teach you how to find work with magazines, educational venues, blogs, websites, private clients, and genealogy vendors. Learn tips and tricks for generating ideas, working with individuals and editors, meeting deadlines, getting repeat assignments, and ways to create your own platform. Discover tools and resources to help boost your productivity and increase your income stream. user experience, and evaluating your web presence. APG webinars are free for both APG members and non-members to attend live, and we ask that you please share the information with your friends, colleagues, mailing lists, etc. Arlington, VA, 1 DECEMBER 2014: Registration is now open for the National Genealogical Society’s thirty-seventh annual family history conference, Crossroads of America, which will be held 13–16 May 2015 at the St. Charles Convention Center in St. Charles, Missouri. Conference highlights include a choice of more than 150 lectures, given by nationally known speakers and subject matter experts on a broad array of topics. The conference will open with The Tales of Pioneer Paths: Rivers, Roads & Rails given by J. Mark Lowe, CG, FUGA, a full-time professional researcher and educator, and former APG president. Continuing NGS’s goal of providing quality educational opportunities to its participants, the conference will feature a variety of lectures for all skill levels from beginner to advanced. Lecture topics covered at the conference will include: researching in many Midwestern states; national and regional migration paths; land, military, immigration, and naturalization records; ethnic and religious groups including African American, German, Irish, Jewish, Native American, Polish, and Scots-Irish; methodology, analysis, and problem solving; and the use of technology including genetics, mobile devices, and websites useful in genealogical research. The Board for Certification of Genealogists’ Skillbuilding track will again be an integral part of the conference and presented over the four days of the event. Registration is currently open. 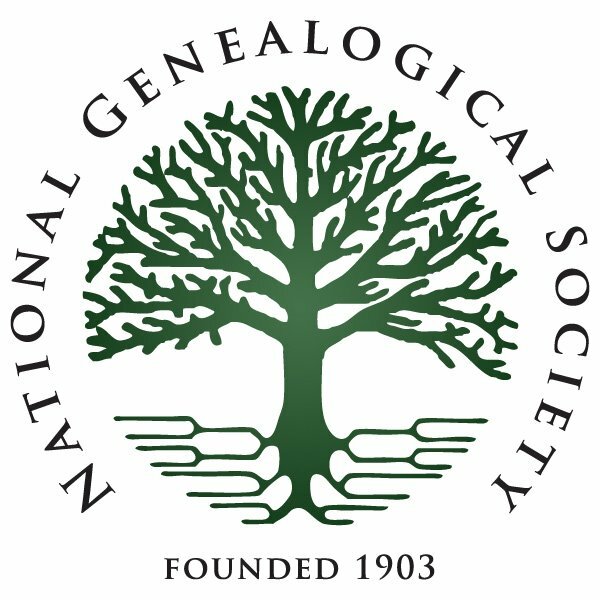 To register online, visit the NGS website at http://conference.ngsgenealogy.org/event-registration/ and complete the registration form. The online searchable program is available at http://conference.ngsgenealogy.org/agenda/ and the PDF brochure is available at http://goo.gl/x92kAg. The brochure includes an overview of the sessions, tours, pre-conference events, registration times, and rates, as well as general conference and hotel details. Attendees are urged to visit the conference blog, which will feature tips on local and regional research facilities as well as things to do in and around St. Charles and updated information on hotel availability and local restaurants.